Twenty-fifteen was chock-full of firsts, new content, interviews, travels, reviews, festivals and plenty of other beer-y things here at The Hop Review. We released over 25 in-depth interviews (with several more in the hopper), traveled for beer to 5 different countries and a dozen or so states and downed more pints than we can even begin to count. We take a quick look back at some of our 'bests' and other favorite moments and items this year in the world of beer–with a decidedly Chicago focus. It's all about fresh beer and no one does it better than Spiteful. From hoppy pale ales to stouts and porters, you can't go wrong with a Spiteful beer in hand; not to mention they cleaned up at this year's FoBAB. Runner-up: Penrose Brewing. Showcasing Belgian style pales better than anyone out there–as well as their amazing Wild series–this Geneva brewery is going to be a force that'll keep growing. Goose Island's time to shine. A glass of Rare greeted you at the door and the entire 2014, 2015 lineup was just around the corner. GI put on an event that was hearty, well-run and just all around special. Runner-up: Whirly Ball Battle of the Breweries. The Chicago brewing scene is full of good people ready to help anyone willing to ask, but throw in some bumper cars, bowling balls, and laser tag and all bets are off. After last year's mud bowl and half the greenhouses still under repair, it was amazing to see this event in full glory in '15. This year's Chicago Craft Beer Week kickoff event is held in easily one of the most unique and beautiful venues for a beer fest in the country. Runner-up: Welles Park Craft Beer Fest. The Illinois Craft Brewers Guild knows how to throw a party. The closing event found a spacious new home at Welles Park in Northcenter. Lines were short and the beer was flowing–sure beat the previous few year's CCBW closing event down on crowded Clinton Street. A milk stout brewed with pistachios...now in slickly packaged Dan-Grezca-illustrated green cans. 'Nuff said. This South Side Pilsen brewer is using his technical culinary background to push beer recipes to their limit. We've come across few brewers as skilled as Jared to play up unique ingredients to their full potential. Despite the small beer portfolio, these ales pack a punch. We're looking forward to what he'll toss into his next brew. Runner-up: Michael Carroll – Band of Bohemia. The Alinea ex-pat and former Half Acre brewer is making waves in Ravenswood. Maitake mushrooms, beets, grilled apples, chicory–any ingredient is fair game under the supervision of Carroll. As we mentioned above: Showcasing Belgian style pales better than anyone out there–as well as their amazing Wild series–this Geneva brewery is going to be a force that'll keep growing. Runner-up: Temperance Brewing. A great lineup of beers paired with an amazing taproom make Evanston's lead brewer hard to beat. Belly up to the huge bar for one of the many taproom only beers, or grab a spot at the shuffleboard table in the one of more unique settings in the city. 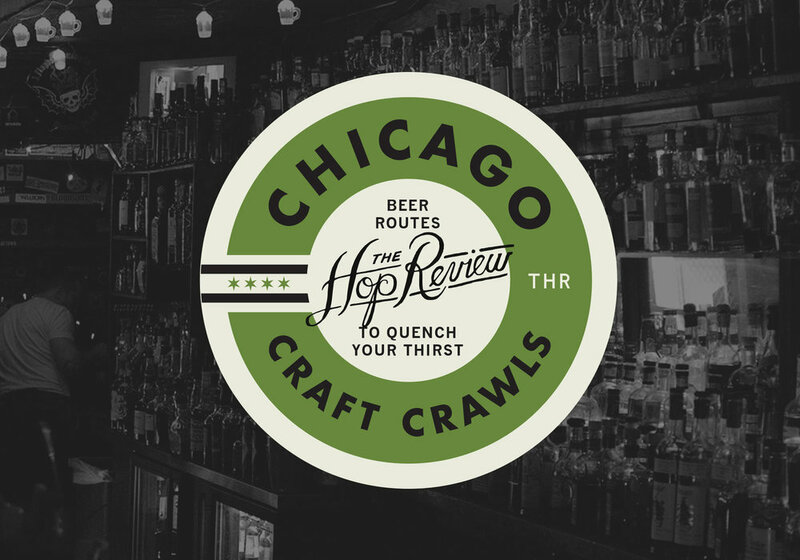 Runners-up: DryHop Brewers – Maybe because it's in the neighborhood, or maybe because of its ever changing tap list, or maybe because the burger is so damn good; all add up to a friendly, cozy spot to have several pints. Begyle Brewing – A laid back atmosphere tucked down a neighborhood street off of Ravenswood Avenue, there is always something new on tap here. Check out the cider options from Broken Nose while you're there, too. For a beer style few enthusiasts were really aware of a year ago, let alone familiar with, the gose had a banner year. Noted for it's sour meets salty characteristics, this beer is the equivalent to the corner bar popcorn basket: it leaves you still slightly parched, and craving just one more beer. No, this isn't a style for the masses. But, those who are gose-backers are passionate about it. Runner-up: The Traditional Lager. Fading away are the punch-you-in-the-mouth hop forward beers. Folks are itching to ease up on their palate and their reaching for more sessionable, crisp pours. Enter: the lager. It's back in full force as more craft brewers are trying their hand at their own take on the mass appeal big-brewer style. Cleveland's pioneer brewer has been crafting quality ales since 1988. That's about the last time their brand had been addressed, too. There were few breweries that needed to reapproach their look as much as GLBC, and we're sure glad they did. With tightened up typography and thoughtful illustrations, the new Great Lakes is finally headed in the right direction visually. Runners-up: Brewdog [Ellon, Scotland], Great Dane Brewpub [Madison, WI]. It seemed that the best redesigns in craft beer this year happened outside of Chicago. Both the UK's Brewdog and Wisconsin's Great Dane got solid brand and packaging refreshes. Again, both with extremely detailed and thoughtful approaches. Again, another non-Chicago brewer–but there's no denying these cans. They are bold, smart and aesthetically appropriate for this under-the-Golden-Gate-Bridge brewery in San Francisco. Plus, this is the first time we've seen a can with a matte finish–or in any of these colors, which we dig. Runner-up: Penrose Brewing Co. The Geneva brewery makes another appearance on our list, and deservedly so. They also incorporate a matte finish on their bottle's labels, alongside punches of metallic. Their Wild Series really shines on the shelves. Anything on nitro, wild ales, craft lagers, moving from bottles to cans, on-/off-premise bottle shops, the Crowler, 750 mLs, expanded BYOBs, craft beer + bowling, brewery crawls, beer-focused travel. Hard Root Beer, Barrel-aging everything, naming your new brewery "_____ Brewing Co.", monolinear packaging design, beer arcades, ridiculously ambiguous beer names, shock value beer names...all around bad beer names, 4-packs, hype machine breweries, hard to access beer events. With standouts like Roundabout Brewing, VooDoo, Draai Laag, Grist House, Full Pint Brewing and Church Brew Works, Pennsylvania's western metropolis has plenty of solid craft options. Add some really well-planned bottle shops and impressive restaurants, and you definitely have a city to watch as far as beer goes. Although not quite east coast, the 'east coast' IPA style is being perfected here and sours are all the rage at specialty brewers like Draai Laag. Runners-up: Louisville, KY & Tucson, AZ. With the recent expansion of big players like Louisville's Against the Grain and Tucson's Dragoon Brewery, these two cities are definitely worth keeping an eye on in '16. While not technically it's own brewery, the new brand from the creator of Une Annee has released two fantastic stouts so far, and we're looking forward to what's next. That, and news that Une Annee is ready to sign the lease on a new space makes us anxious to see what's next for the French/Belgian focused brewery. Runner-up: Hopewell Brewing Co. This under-the-radar outpost in Logan Square is just about set to open their doors on an overlooked stretch of Milwaukee Avenue. We can't wait to see their fresh airy space, serving up lager-focused brews. A solid year for beer. Here's to even better in '16. Cheers! Older PostBeer Slinging in the 'Wild West' with Borderlands Brewing Co.